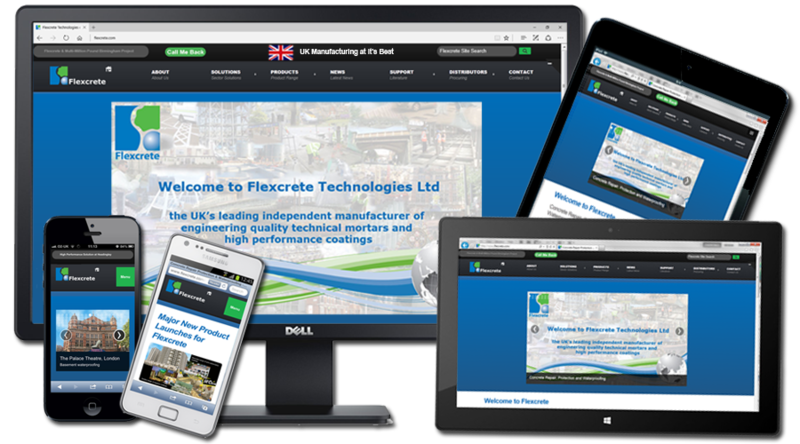 Flexcrete Technologies Limited is the UK’s leading independent manufacturer of technical mortars and high performance coatings, specialising in concrete repair and protection products. With origins dating back to 1983, they are a technology-driven company with an enviable track record of setting industry standards. Their innovative products for the reinstatement and protection of buildings and structures offer class leading performance and are used worldwide. 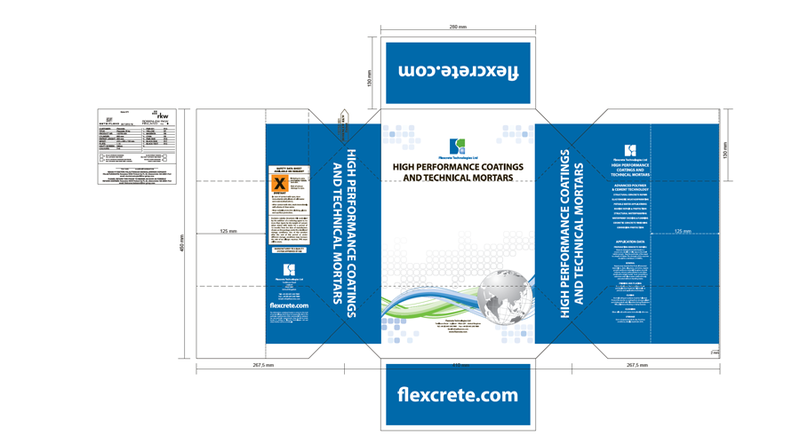 Flexcrete's website & marketing materials before our involvement. 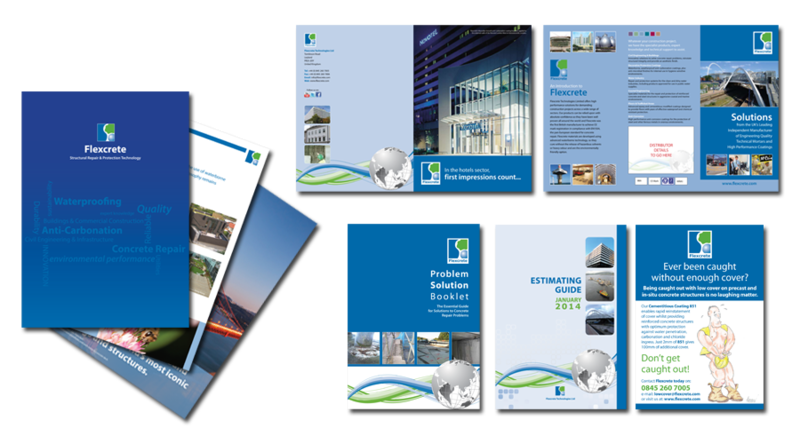 A selection of the marketing materials designed & implemented for Flexcrete by InForm Web Design. 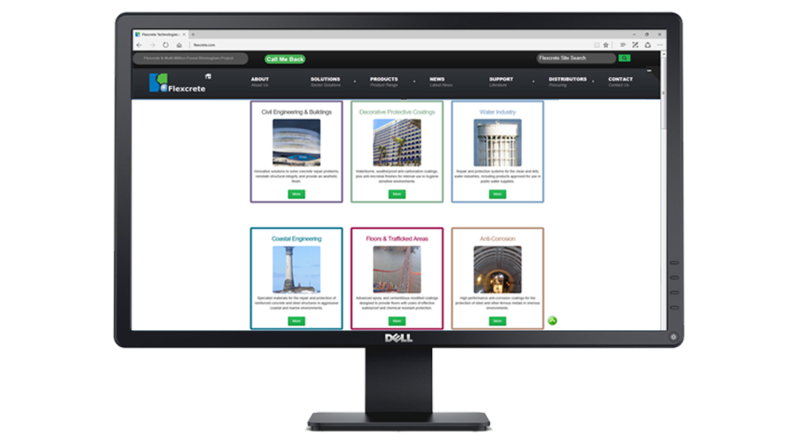 Fully Responsive website implemented using Drupal CMS with a Bootstrap core Framework and MySQL Product Database. InForm implemeted a simple colour coding system for identifying Flexcrete's market sectors. 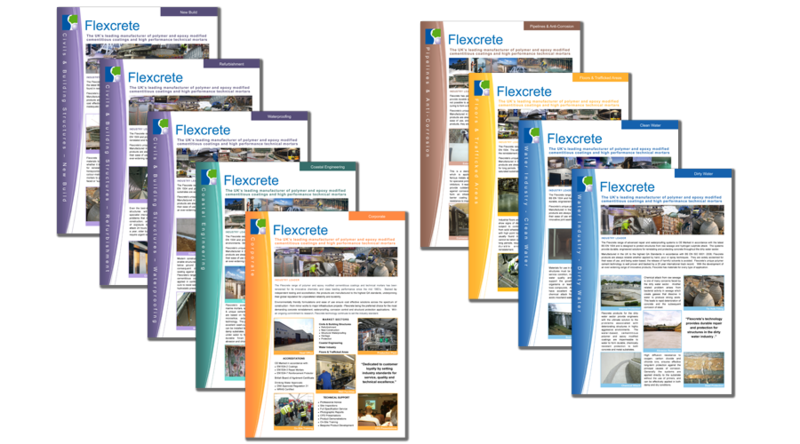 The new Flexcrete website reinforced our Customer Centric Marketing Strategy with a focus on 'Market Sector Solutions'. 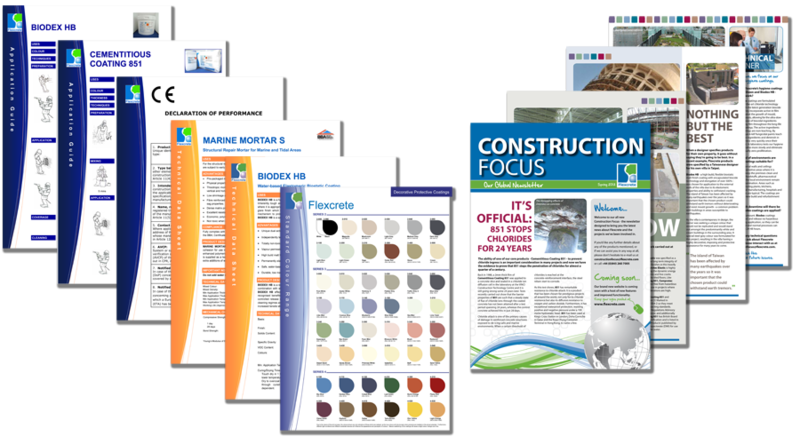 Example of the colour coding system as a applicable to the Civil Engineering & Building Structures Market Sector. Colour coded Market Sector Brochures. 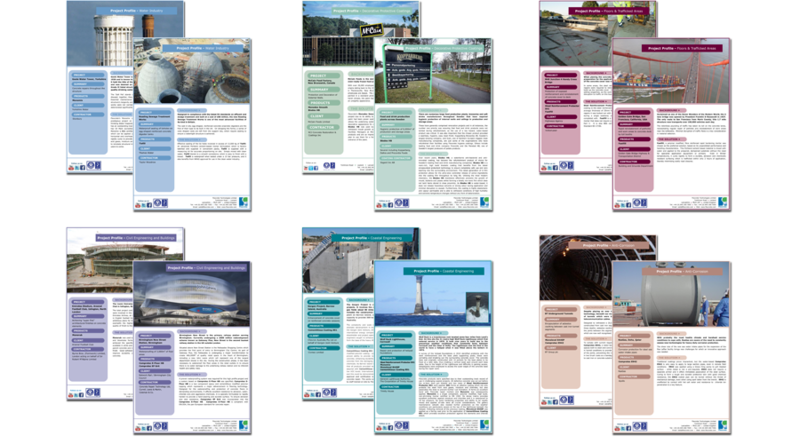 Supporting Product Literature continuing the Brand theme and 'Construction Focus' - the E-Newsletter implemented by InForm. 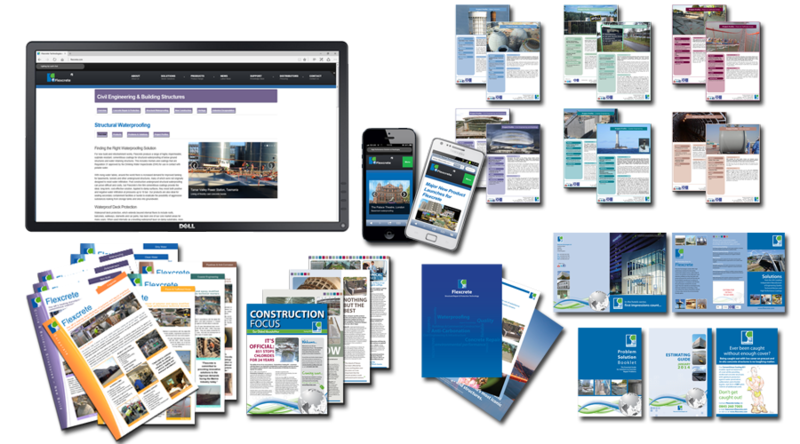 Other examples of Corporate Marketing Literature and Press ads with a consistent Brand theme. Management of all internal software and systems including Sage Accounts, Payroll & Manufacturing. The website was designed and developed using Drupal CMS based on the Twitter Bootstrap Framework. 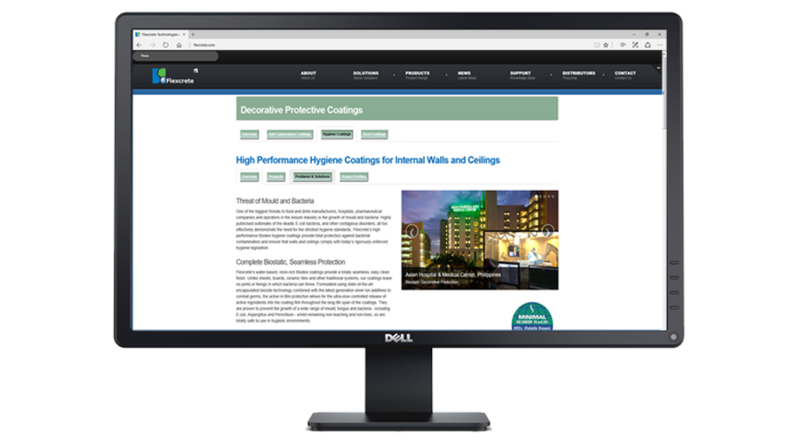 We chose Drupal as this was the best technical implementation for the website given Flexcrete's complex product offerings and associated product documentation. 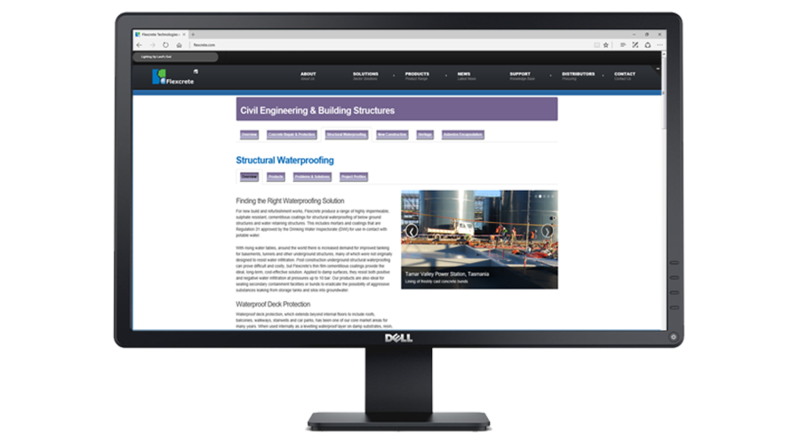 We needed a CMS solution that allowed us to integrate a single MySQL database to generate the Product Pages and Market Sector Solutions Pages with associated links to supporting Marketing and Technical documentation. 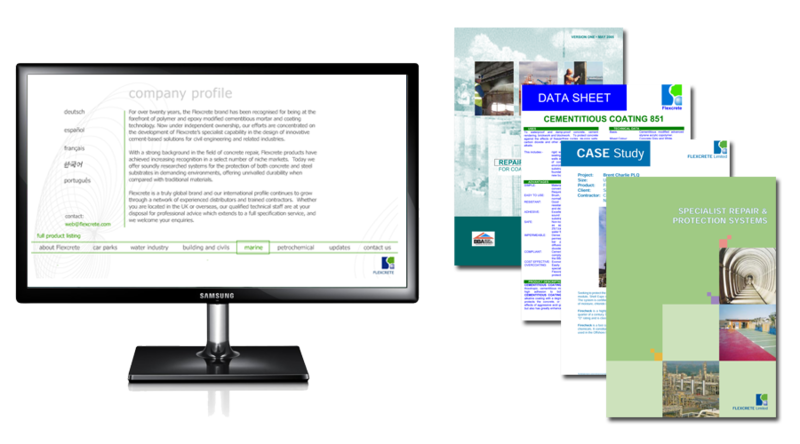 This single database allowed for simple updating of Project Profiles, Technical Data Sheets, Safety Data Sheets and Application Guides on the database with instant propagation throughout the website. This single point propagation was implemented using Drupal's database abstraction layer. At the time, Drupal was relatively unheard of and it was our first website implemented using this CMS technolgy. Now, Drupal accounts for over 4% of all website implementations worldwide. The responsive element was implemented using the Twitter Bootstrap Framework. 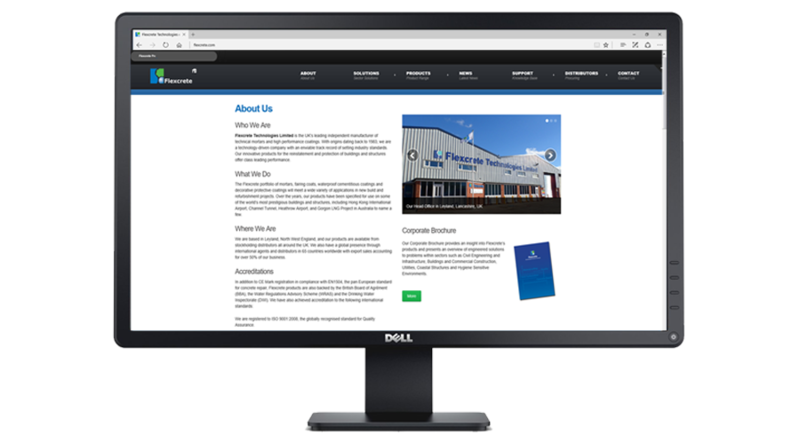 The result was a technically complex, future proof website, built using easily maintained, industry standard solutions.